Oak Tree Cottage01239 621600work Self-cateringA charming cosy cottage situated on the Teifi Marshes Nature Reserve on the edge of Cilgerran village, three miles from Cardigan town. The reserve belongs to the Wildlife Trust of South & West Wales and their flagship visitor centre, the Welsh Wildlife Centre, is also situated here. The cottage sleeps four in two bedrooms (double bed and bunk beds) and has a lounge/dining/kitchen room along with a shower room. Private parking is on site. The nature reserve is there for you to enjoy and gives you the chance to explore early in the morning and late in the evening when more secretive creatures are about. A charming cosy cottage situated on the Teifi Marshes Nature Reserve on the edge of Cilgerran village, three miles from Cardigan town. The reserve belongs to the Wildlife Trust of South & West Wales and their flagship visitor centre, the Welsh Wildlife Centre, is also situated here. 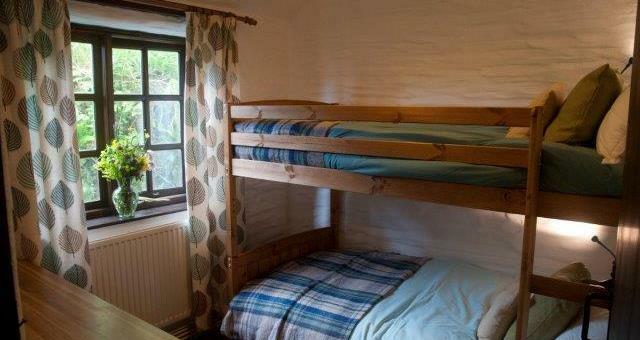 Central heating, electricity and bed linen are included in the price. Stays are of three, four or seven nights' duration. From Cardigan town take the A487 Tenby Road for one mile, turn left in the village of Penybryn. Pass sign for Cilgerran village and at the bottom of the hill turn left for the Welsh Wildlife Centre and proceed down the lane for 1.2 miles. Drive straight through the public car park and past the main visitor centre. 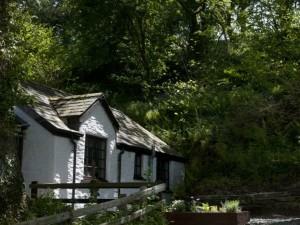 The cottage is situated on the right hand side up a short hill. The cottage is situated up a small hill but you can park at the top of this. The ground is covered in slate but there is a flat pathway along to the cottage of flagstones. There is a small step into the cottage but all level inside. A small wheelchair would be able to get around but not a large one. People who use walking stick or crutches would be able to navigate the cottage.